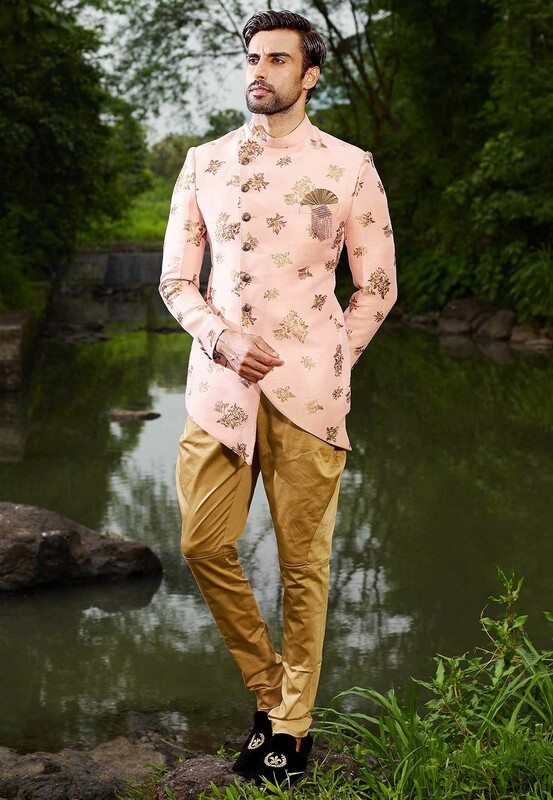 Elegant Looking Peach Colour Jacquard Fabric Designer Jodhpuri Suit. 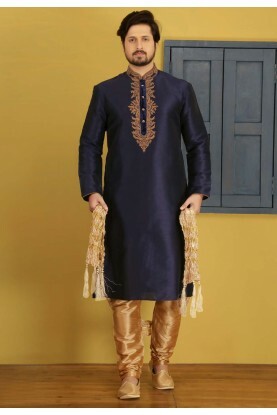 You're reviewing: Peach Colour Men's Designer Suit. 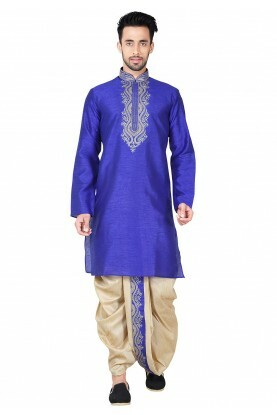 Men's Exquisite Turquoise Color Dupion Silk Readymade Kurta Pajama With Printed,Thread Work. 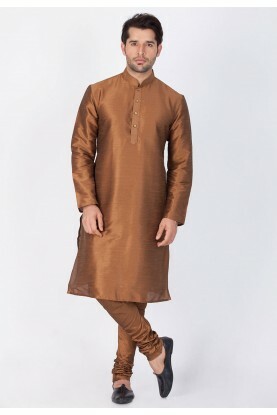 Exquisite Brown Color Cotton Silk Kurta Pajama.